Under the category of “things I had no idea existed”: Pëtr Kropotkin’s daughter, Princess Alexandra Kropotkin, interviewed by Henry Hazlitt and William Bradford Huie on CBS television in 1951 (the presenter is Frank Knight, but not that Frank Knight). Le Carré, like Ian Fleming, is a spy-fiction writer who had actually been a spy in real life; but Le Carré is not a fan of Fleming, and says he created the pudgy, plodding, aging, bespectacled, self-effacing (but brilliant) Smiley with the chronically unfaithful wife as the anti-James-Bond, stressing seedy realism and moral greyness over Fleming’s romanticised version of spy life. Fair enough, although I would point out (indeed, have pointed out; see here, here, and here) that the early Bond novels (unlike most of the movies, and unlike the later novels where Fleming was starting to imitate the movies) are less stereotypically Bondesque; Fleming’s Bond (whom Le Carré dismisses as a “neo-fascist gangster” who cares only for his endless string of martinis, fast cars, and female conquests) is originally a pill-popping neurotic plagued by bad dreams at night and moral doubts by day; and he doesn’t always get the girl either. 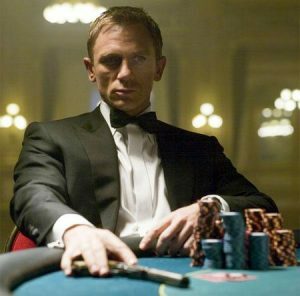 Moreover, the opening paragraph of the first Bond book (“The scent and smoke and sweat of a casino are nauseating at three in the morning. Then the soul-erosion produced by high gambling – a compost of greed and fear and nervous tension – becomes unbearable and the senses awake and revolt from it.”) is decidedly unromantic. 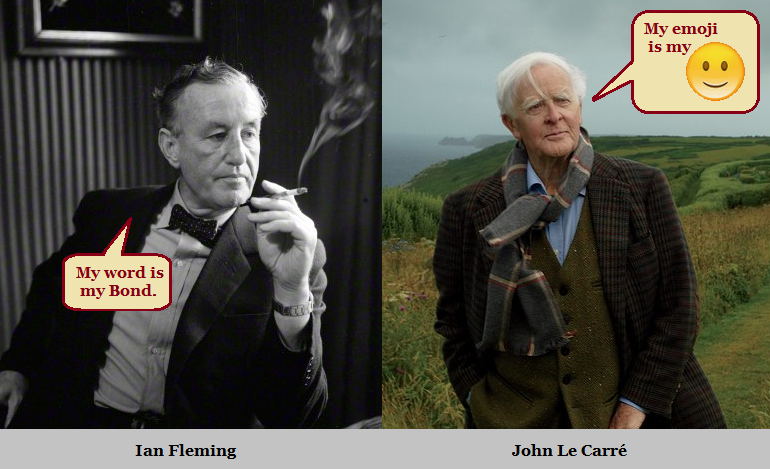 Which is not to say that the Le Carré/Fleming contrast is wrong; it’s just somewhat exaggerated. It was cold that morning, the light mist was damp and gray, pricking the skin. The airport reminded Leamas of the war: machines, half hidden in the fog, waiting patiently for their masters; the resonant voices and their echoes, the sudden shout and the incongruous clip of a girl’s heels on a stone floor; the roar of an engine that might have been at your elbow. Everywhere that air of conspiracy which generates among people who have been up since dawn – of superiority almost, from the common experience of having seen the night disappear and the morning come. The staff had that look which is informed by the mystery of dawn and animated by the cold, and they treated the passengers and their luggage with the remoteness of men returned from the front: ordinary mortals had nothing for them that morning. One departure from realism is the elastic ages of the central characters, particularly Smiley and his right-hand man Peter Guillam. If they were really the ages they’re depicted as being in the early books, then by the latest book they should be centenarians, which they evidently are not. Instead their ages shift over the course of the series; for example, in the first book we’re told that Smiley recruited Guillam during World War II, but by the fifth book Guillam is implied to have been born in 1933, which would make him a tad young for espionage work in the war. Nature had provided Gail with long, shapely legs and arms, high, small breasts, a lissom body, English skin, fine gold hair and a smile to light the gloomiest corners of life. It’s a nice change to see the “we’re not so different speech, you and I” given by the hero (if “hero” is quite the word for someone as morally compromised as Smiley) to the villain for once instead of vice versa. 9. The Secret Pilgrim (1990) is probably too episodic to be adapted for the screen. Incidentally, it’s primarily through connections to this book (i.e., sharing characters) that the two Smileyverse-but-no-Smiley novels are part of the Smileyverse. Here too, talk of a possible sequel seems to have died off. Incidentally, Olivia Colman’s character (the agent who recruits Hiddleston’s character) might seem like an exception to Le Carré’s poor handling of female characters, except – she’s a man in the books. 11. 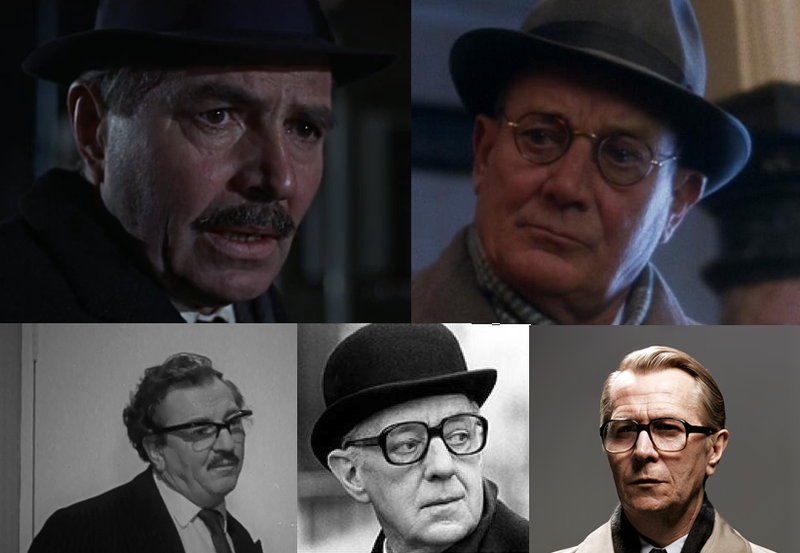 A Legacy of Spies (2017), the most recent Smiley novel, is probably too dependent on The Spy Who Came In From the Cold (it’s a retelling of the same events from a different perspective, and through the lens of Tinker) to be independently filmable. Maybe AMC can borrow elements from it if they still want to stretch Spy into a miniseries. CBR today has a story about my old friend Vincent Fago. Vincent was a cartoonist who had at one time been the editor of Marvel Comics (then called Timely) during World War II. 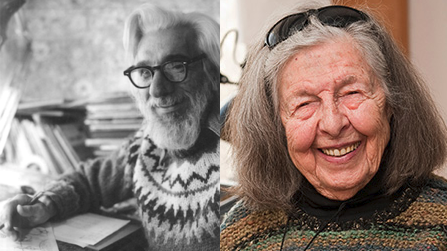 When I was living in Hanover, New Hampshire, during my high school years (1977-1981), Vincent Fago (who died in 2002) and his wife D’Ann (who died just this year, at the age of either 99 or 100) were friends of my family though church. Although I knew he wrote cartoon books, he never mentioned his history at Marvel (modesty on his part, I guess) despite his knowing I was a comic book fan, so I didn’t find out about that until years later. The Fagos were an utterly delightful, warm, eccentric couple; I have fond memories of dinners at their cozy house across the state line in Vermont, with Vincent showing me his latest cartoons (the one that stuck in my mind was a whimsical picture of a flock of migrating birds being held aloft on platforms carried by beavers, with the caption “Very lazy are twilly eavers; when they fly down south they use trained beavers”), and D’Ann waxing indignant over a passage in a history book that described the Pilgrims as “coming to America, bringing their wives” (a consciousness-raising moment for me). When I was making an animated film for a high school project, Vincent helped arrange for me to be interviewed on the radio about it. (Alas, both the film itself and the recording of the interview are long gone – though I do have all the stills for the film.) Later, when our family’s belongings were being sold off for debt, Vincent also helped save most of my comic book collection (long story). (Another set of friends saved our book collection.) I’m sorry I lost touch with the Fagos after we left Hanover; they are definitely missed. In 1966, Ursula Le Guin published Rocannon’s World, the first novel in her Hainish series. 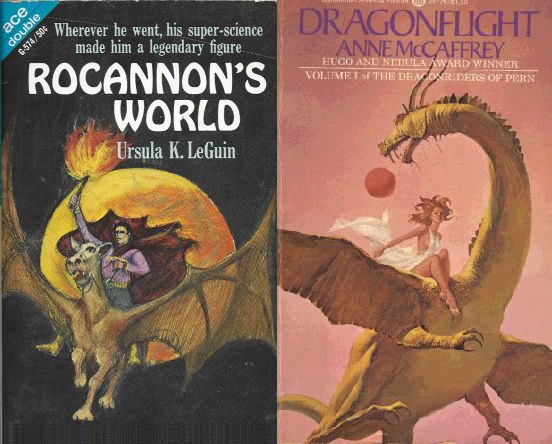 Two years later, in 1968, Anne McCaffrey published Dragonflight, the first novel in her Pern series. There are striking parallels between the two novels. Both feature a world with the trappings of fantasy (including flying steeds, and mediæval technology and social structures), yet grounded in a science-fiction framework of future planetary colonisation. Both also feature a telepathic protagonist who fulfills a prophecy; both involve voyages in which time passes in a nonstandard manner; and both begin in a chilly castle on a high hilltop, with a discontented heroine scheming to reclaim her stolen legacy. So far all that could be coincidence, though. Certainly the specific story details are quite different. And after all, giving a fantasy story a science-fiction twist and technological grounding by transplanting it to the future and/or to another planet is an idea older than either book (see, e.g., the various works in the “planetary romance” genre, from Edgar Rice Burroughs to Marion Zimmer Bradley). How can you tell the legend from the fact on these worlds that lie so many years away? – planets without names, called by their people simply The World, planets without history, where the past is the matter of myth, and a returning explorer finds his own doings of a few years back have become the gestures of a god. Unreason darkens that gap of time bridged by our lightspeed ships, and in the darkness, uncertainty and disproportion grow like weeds. In trying to tell the story of a man, an ordinary League scientist, who went to such a nameless half-known world not many years ago, one feels like an archaeologist amid millennial ruins, now struggling through choked tangles of leaf, flower, branch and vine to the sudden bright geometry of a wheel or a polished cornerstone, and now entering some commonplace, sunlit doorway to find inside it the darkness, the impossible flicker of a flame, the glitter of a jewel, the half-glimpsed movement of a woman’s arm. How can you tell fact from legend, truth from truth? Galactic Area 8, No. 62: FOMALHAUT II. High-Intelligence Life Forms: Species Contacted …. When is a legend, legend? Why is a myth, a myth? How old and disused must a fact be for it to be relegated to the category “Fairy-tale”? And why do certain facts remain incontrovertible, while others lose their validity to assume a shabby, unstable character? Once relieved of imminent danger, Pern settled into a more comfortable way of life. The descendants of heroes fell into disfavor, as the legends fell into disrepute. This, then, is a tale of legends disbelieved and their restoration. Yet how goes a legend? Where is myth? Incredible footage of a drive through a California wildfire. Okay, now I am totally up for a series that’s just nothing but a grumpy Peter Capaldi doing film criticism.